Eemax Electric tankless water heaters offer 99 percent thermal energy efficiencies that pays for itself. Eemax's tankless water heaters minimize stand-by heat loss - don’t pay for keeping water hot in a large storage tank 24/7 Saving energy also means you are reducing your carbon footprint. Enjoy up to 90 percent space saving compared to large tank water heaters. This means you can put your Eemax heater anywhere. You get hot water faster and save water when the Eemax Tankless hot water heater is installed close to the point of use. No more wasting water down the drain. 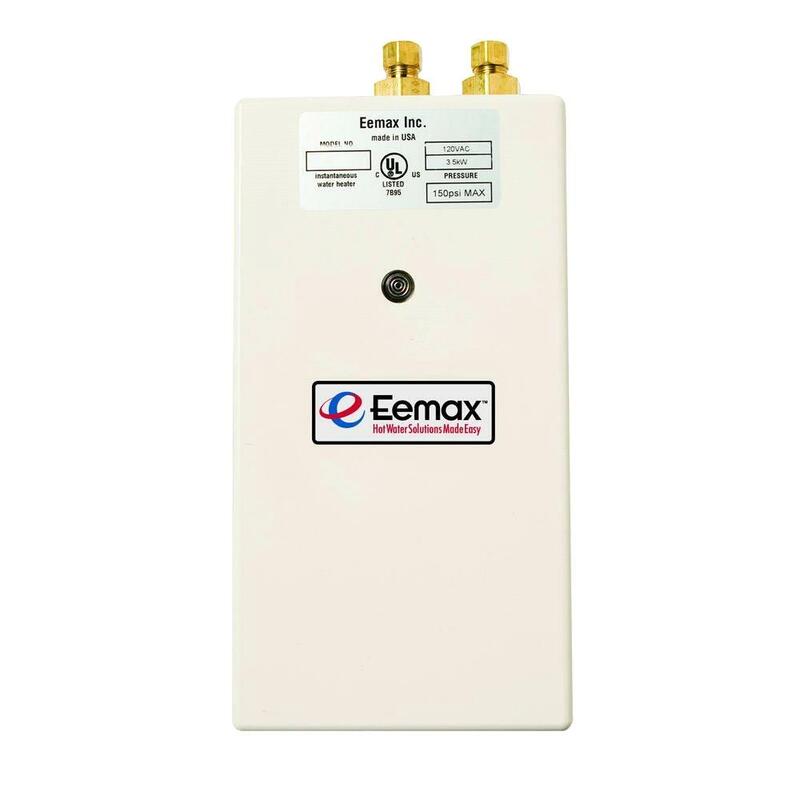 With Eemax Electric Tankless Water Heaters dangerous temperature levels and spikes are no longer a problem. Scald prevention - Eemax sophisticated computer controlled micro-processing temperature control models provide unlimited hot water at precise outlet setting (+ or - one degree accuracy). Electric Tankless run on safe electricity, no venting required or carbon monoxide danger. You can expect decades of trouble free performance from your Eemax Electric Tankless and can last nearly twice as long as a tank heater. No tank to rust out and leak.